We left Bozuk Buku around lunchtime and headed west. 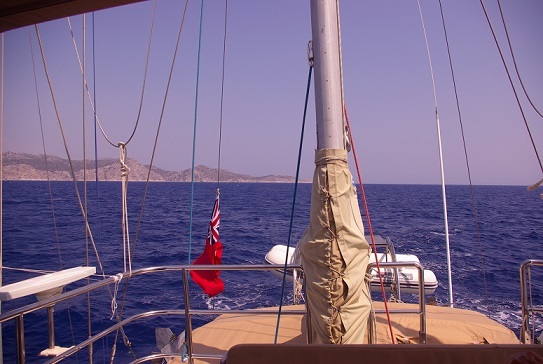 Once out at sea we encountered headwinds of 20-24kts giving a spead of around 5kts at 1500rpm.Once rounding the Karaburun Lighthouse we had beamwinds turning to downwind on the beam. With a reasonably heavy swell it was good for us new owners to feel Dora Mac´s motion in seaway. On the whole she gave us a comfortable ride.